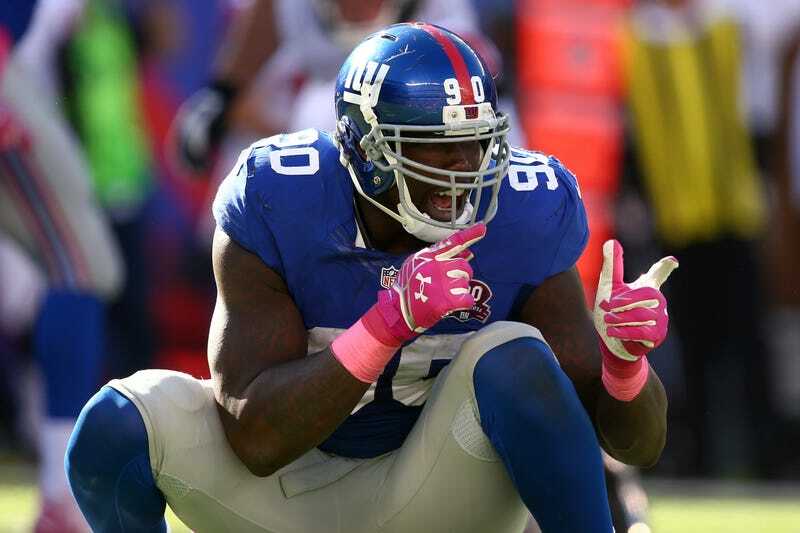 What's Going On With Jason Pierre-Paul? We still have absolutely no idea if Jason Pierre-Paul will be ready to start the season, or if he had his blown-up hand awkwardly replaced by a tiny doll hand. The Giants don’t seem to know either, oddly: after three unsuccessful days trying to visit their DE in a Miami hospital, they’ve returned to New York without seeing him. Pierre-Paul reportedly hurt himself trying to light one of a U-Haul’s worth of fireworks. He’s still in the hospital, and the Giants are trying to juggle their interest in his medical condition with trying to get him signed, be it to a long-term deal or under a franchise tag. On Monday, they dispatched trainer Ronnie Barnes to meet with Pierre-Paul. “Without getting chance.” How is that possible? Every time I’ve been to the hospital, you just give your name at the front desk and they send you right on up. Much like JPP’s fingers, this is getting out of hand. The real, non-nefarious reason for Pierre-Paul’s seclusion is likely to be his contract. On Monday, the Giants pulled a long-term deal from the table—one Pierre Paul wasn’t happy with anyway. Now there’s talk that the Giants could either retract the franchise tender offer (which JPP never signed, and which could be rescinded for “[failure] to establish or maintain his excellent physical condition” anyway), or put him on a non-football injury list and just not pay his salary. All of this depends on Pierre-Paul’s prognosis—and it’s not really surprising that Pierre-Paul wouldn’t want a Giants employee helping to make that call. A subtheory has JPP trying to pressure the Giants into getting fed up and withdrawing the franchise tag—which would make him a free agent, and free him up for a big payday from another team. All of this is speculation until the Giants know more about Pierre-Paul’s injury and recovery timetable. But he sure seems set on making them wait, and that’s no accident.